Min Jin Lee’s Pachinko (2017) was a finalist for the National Book Award for Fiction, a New York Times 10 Best Books of 2017, a USA Today Top 10 Books of 2017, an American Library Association Notable Book, and an American Booksellers Association’s Indie Next Great Reads. It is a New York Times Bestseller. 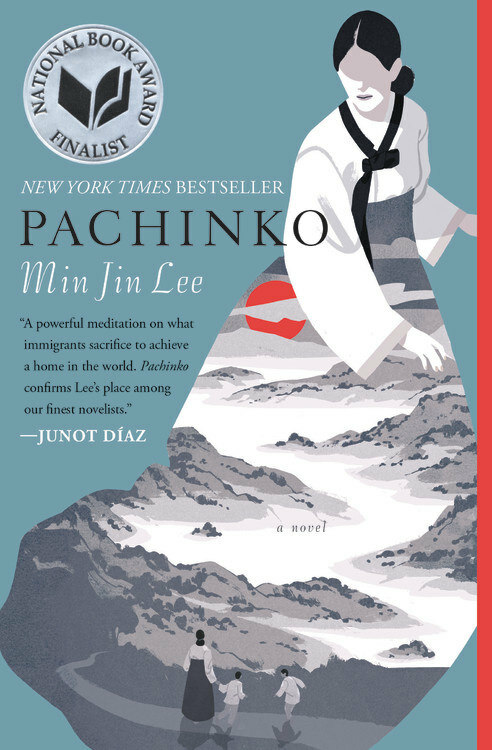 Pachinko was a Top 10 Books of the Year for BBC, Canadian Broadcasting Corporation, San Francisco Chronicle, the New York Public Library, Seattle Post-Intelligencer, and the Chicago Public Library. Lee’s debut novel Free Food for Millionaires (2007) was a No. 1 Book Sense Pick, a New York Times Editor’s Choice, a Wall Street Journal Juggle Book Club selection, and a national bestseller; it was a Top 10 Books of the Year for The Times of London, NPR’s Fresh Air and USA Today. Lee has spoken about writing, politics, film and literature at various institutions and organizations, including Columbia University, French Institute Alliance Francaise, The Center for Fiction, Tufts, Loyola Marymount University, Stanford, Johns Hopkins (SAIS), University of Connecticut, Boston College, Hamilton College, Hunter College of New York, Harvard Law School, Yale University, Ewha University, Waseda University, the American School in Japan, World Women’s Forum, Korean Community Center (NJ), the Hay Literary Festival (UK), Hong Kong International Literary Festival, Melbourne Writers Festival, the Tokyo American Center of the U.S. Embassy, the Asia House (UK), and the Asia Society in New York, San Francisco and Hong Kong. In 2017, she won the Literary Death Match (Brooklyn/Episode 8), and she is a proud alumna of Women of Letters (Public Theater).